The R Series Plus is truly two devices in one. 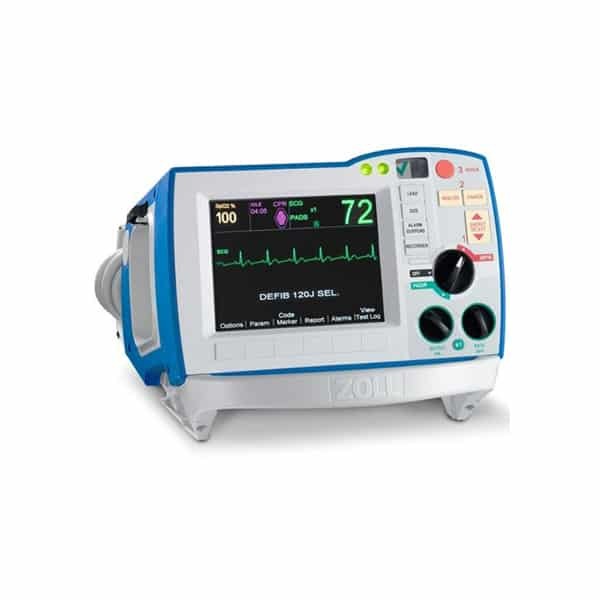 To meet the needs of BLS trained responders, it powers on as an AED. But with the push of a button, it converts to a full featured manual defibrillator for ALS responders. Using Real CPR Help technology, the R Series provides audio and visual feedback that guides rescuers to consistently deliver high quality CPR. If compressions aren’t deep enough, you will hear “Push Harder.” And detailed visual feedback, including the rate and depth of each compression, is displayed on the CPR Dashboard. If either on falls out of the Guidelines-recommended range, it will be indicated by a color change. Additionally, the diamond shaped Perfusion Performance Indicator, or PPI, provides a quick indication of how well the combined rate and depth of compressions match current CPR Guidelines. The CPR Dashboard also provides a compression release indicator. When the bar is full, you know that you’ve come completely off the chest to allow for full recoil. The 2015 AHA and ERC Guidelines emphasize the importance of maximizing the proportion of time spent delivering chest compressions. During a code, minutes can seem like seconds, and the longer the pauses in compressions, the harder it is to deliver a successful shock. After a 3 second delay in compressions, the R Series displays a CPR idle timer to help track and minimize pause times. One of the most common reasons for interruptions in CPR is stopping to determine whether an organized, shockable rhythm has developed. With ZOLL’s patented See-Thru CPR. By reducing the duration of pauses, See Thru CPR is just one more way the R Series is designed to help you provide high quality CPR. The R Series conducts a comprehensive self test of more than 110 individual indicators of readiness once a day. Using standard wireless technology, it can automatically relay this information to Defibrillator Dashboard, which provides a quick snapshot of the overall health of the entire defibrillator fleet that can be viewed on a PC or mobile device. Defibrillator Dashboard optimizes defibrillator readiness and increases efficiency for the biomedical engineering team. 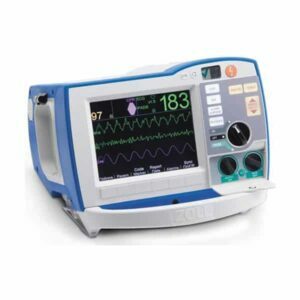 After a cardic arrest event, the R Series supports continuous quality improvement (CQI) initiatives with the push of two buttons, sending the code data rapidly and wirelessly to a designated server. This comprehensive data includes the number of shocks, ECG, end-tidal CO2 values, and CPR quality, which can be viewed using a number of code data programs. Choose the one that is right for your institution.